Brandt’s remarkable storytelling ability turns this true crime tale into the exciting, personal story of a charming con artist. True crime is a difficult genre to write effectively. Vast amounts of research are required, along with a knack for organization. Then comes the really hard part: massaging the facts into a coherent story that eschews dry, academic prose and instead contrives to make nonfiction read like fiction. There are very few authors who can pull it off with style. Robert Brandt, the author of Chameleon: The True Story of an Impostor’s Remarkable Odyssey, is one of those rare few. 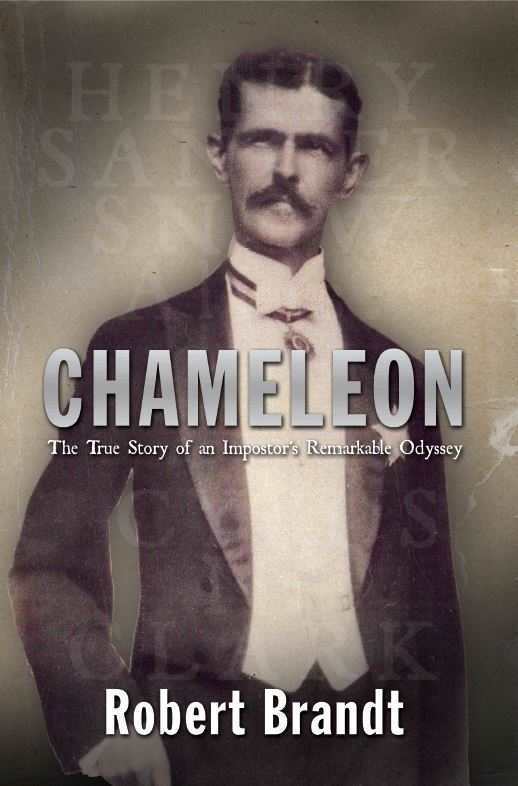 Chameleon relates the true tale of Henry Sanger Snow, the treasurer of the New York and New Jersey Telephone Company. The year was 1908, and the United States was struggling to recover from the Panic of 1907. Snow, who was supposedly wealthy, had taken a number of heavy financial hits prior to the financial crisis. In fact, he was broke. He borrowed vast amounts of money to maintain his lavish lifestyle. When he couldn’t borrow any more, he adopted other means—embezzling from the telephone company. Eventually, the crime was discovered, but before the true extent of Snow’s financial skulduggery could be determined and he could be prosecuted, Snow fled the country. According to Brandt, “Snow had never considered the possibility of turning himself in, facing a trial, or risking imprisonment.” Calling himself Cyrus N. Clark, Snow began popping up all over South America, where he quickly installed himself in the highest government circles, especially in Venezuela. Brandt tells the story with exquisite style, portraying Snow as an elegant rascal and con man who had the ability to charm and persuade others that he was anything but a con artist. Brandt provides intimate details of Snow’s relationship with his second family, which included a new wife, Carmen, and a son, Chip. He also presents historical information necessary for a better understanding of what was going on in Venezuela during Snow’s sojourn in Caracas. Brandt digs deep into the lives of the people that populate the story. He offers details about their motivations, their flaws, and even their political beliefs. These elements add the luster of reality to the tale, making it personal. Brandt’s storytelling ability enables Chameleon to become much more than a simple regurgitation of facts; instead, it becomes the story of real, living people. For example, Brandt manages to keep Snow’s first family, including his four children, in view at all times. By doing so, he succeeds in painting a moral picture. The psychological and emotional ramifications of Snow’s decisions hit home with a thump. Chameleon is a remarkable book—the story of a con artist who succeeded at getting away with it for his whole life. Although most people have never heard of him, Henry Sanger Snow was definitely sui generis. The story of his extraordinary life deserved to be told, and Brandt has told it superbly.